How often do you look at your smartphone every day? Research shows that most of us spend more than 90 minutes a day on our phones. Over the course of a year, that’s an average of 23 full days spent staring at a phone screen. If you’re a young adult that figure leaps to five hours a day. Using smartphones has become habitual. An automatic extension of our lives. Therefore, it’s the perfect opportunity for marketing! Can you think of any other platform that is so closely ingrained into our lives? Email is perhaps the only other channel we are so deeply connected to. And much of that now happens on a mobile device. Although it’s increasing, the amount of money spent on mobile marketing is still lagging behind mobile media consumption. In other words, business aren’t using mobile marketing nearly enough. Not only that, but mobile cost-per-click advertising is both cheaper and more effective than on desktops. Quite simply, mobile marketing is cheaper, reaches more people, and it converts better. First of all, your mobile ad campaigns should be completely separate to your desktop campaigns. Mobile users have different needs and expectations. They’re in a different location or environment. They respond to different copy. As explained above, people who search on a mobile device are more likely to convert than those searching on a desktop. That means mobile search ads are very valuable indeed. As with a normal campaign, you’ll choose your keywords and bid price (how much you’re willing to pay for each click-through). You’ll also create a header and copy to entice people to click. How to set it up: Google have actually made this quite frustrating. It’s still not possible to select ‘mobile devices only’ for your ads. Instead, you’ll have to manipulate it yourself by varying the bid price. Quite simply, you’ll set a super low bid price for desktops, and a realistic bid price for mobile devices. You can do this by using ‘bid adjustment’ shown below. Simply boost the bid percentage upwards on the mobile devices or tablets category. You’re then unlikely to show any ads on a desktop, but lots on mobile devices. Keywords: Now, here’s where you should depart from your normal desktop campaign. Start by targeting keywords specifically for mobile. Using Google’s own advice, target shorter, more specific keywords. 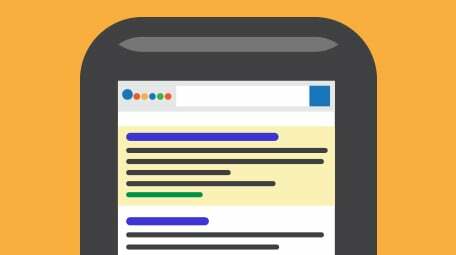 We generally use shorter keywords when searching on a mobile. Google’s Keyword planner is a very useful here too. It tells you which words and phrases are searched most often. Filter the results by mobile devices to see what keywords are most popular on mobiles. As you can see below, not many people search for ‘SEO’ on a mobile device. When I change the keyword to ‘coffee’, for example, it switches, and more than half of the searches for ‘coffee’ are on a mobile. Copy: Again, this is all about simplicity. You’re working with a much smaller space, so you’ll want shorter copy than your average desktop campaign. Create a short, snappy headline (four words maximum) and an intriguing sub-heading. Facebook make it much simpler to create an advert specifically for mobile. In their advert section, simply remove the ‘desktop news feed option’ as shown below. Again, keep your copy short, simple, and intriguing. Of course, Facebook has lots of options for optimizing your adverts, many of which can be applied for mobile devices. If you have an app, for example, you can use an ad to encourage downloads. 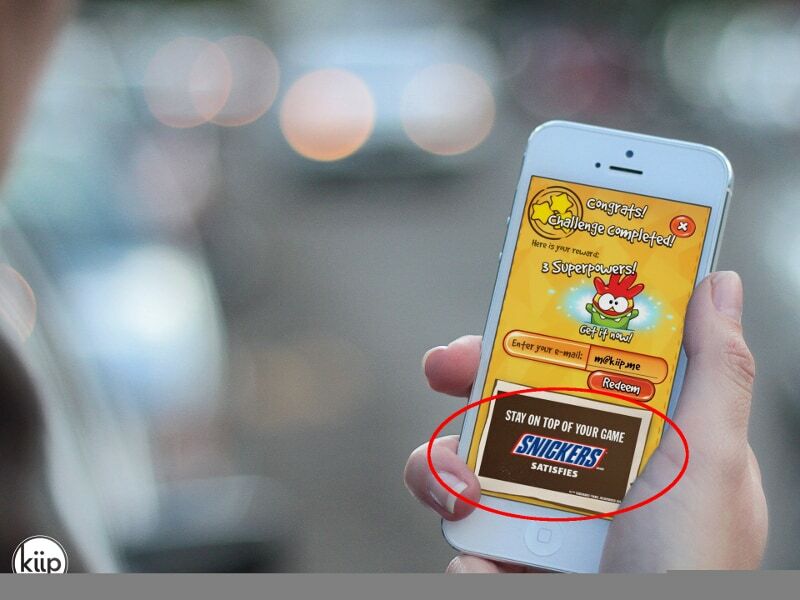 A mobile-only advert is ideal for this since people can convert immediately. So called ‘appvertising’ tends to perform 11.4 times better than traditional banner ads. Why? Because the ads can become a seamless part of the experience. They’re less intrusive and more relevant than typical display ads. They’re especially useful if you’re promoting an app of your own. 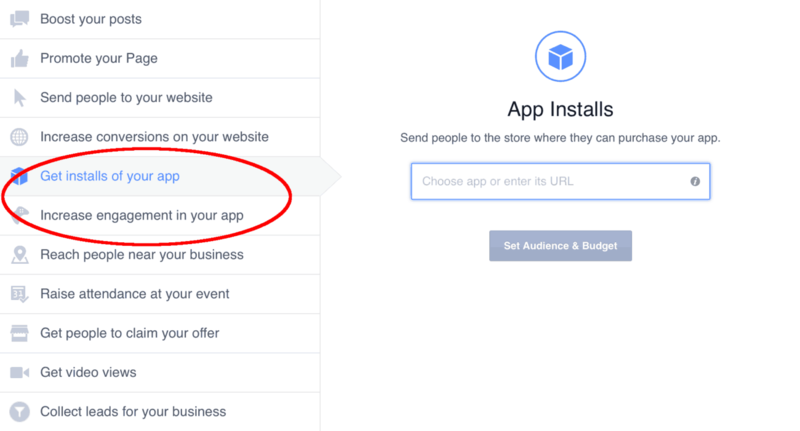 If you want to place an ad within an app, the best places to start are Apple’s iAd and Google’s AdMob, both of which deliver ads to iOS and Android apps respectively. There are also countless other ad networks out there specialising in mobile. One of the best is InMobi. 91% of people check their email on a smartphone every day. But, if it looks terrible on their mobile device, 80% of subscribers will delete it. That’s a huge potential market you can’t afford to alienate! When you consider that reading email is one of the most common activities on a mobile device, you’ve got to get it perfect. 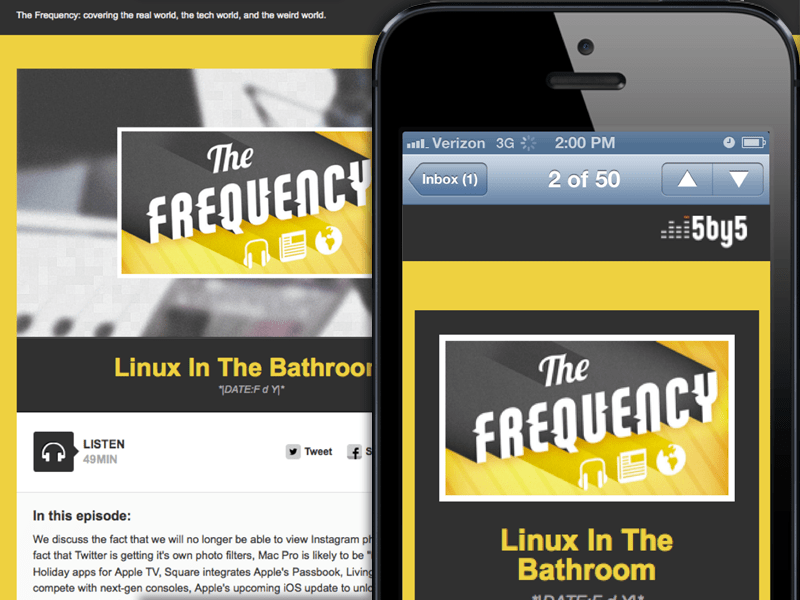 Most email services help you optimize your newsletters for mobile. 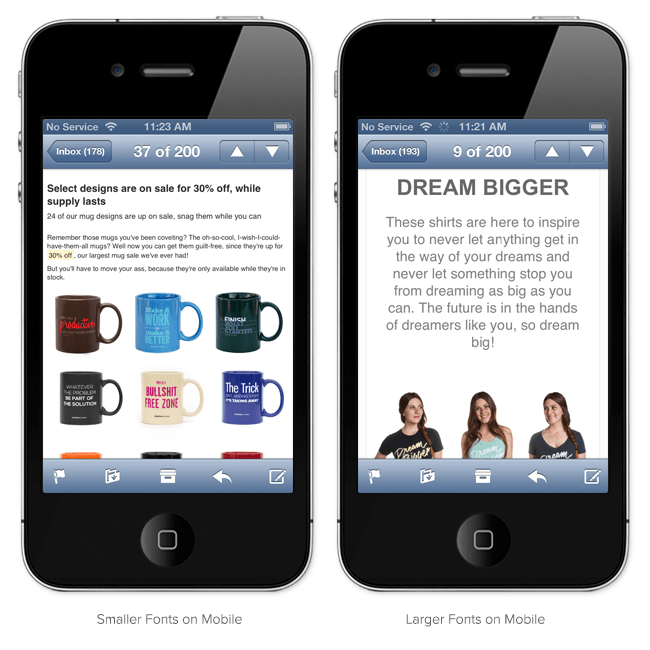 With MailChimp, for example, you can edit and test specific mobile templates to make sure it looks perfect. One tip is making sure your content is laid out in just one column – rather than the multiple columns we often use for desktop email templates. Secondly, use large, bold fonts. Check out the two images below. Which do you think will perform better? Make sure all your links are big and chunky – especially your call-to-action. Make it easy to click on. It’s also worth considering the timing of your campaigns. If you specifically want your subscribers to open your email on their phone (if you’re promoting an app, for example), send the email in the morning. Why? Because we generally check our emails on our phones first thing in the morning. We check them again on our commute. It’s only when we sit down in the office that we revert to desktops. In the evenings, tablet usage increases, so bear that in mind too. 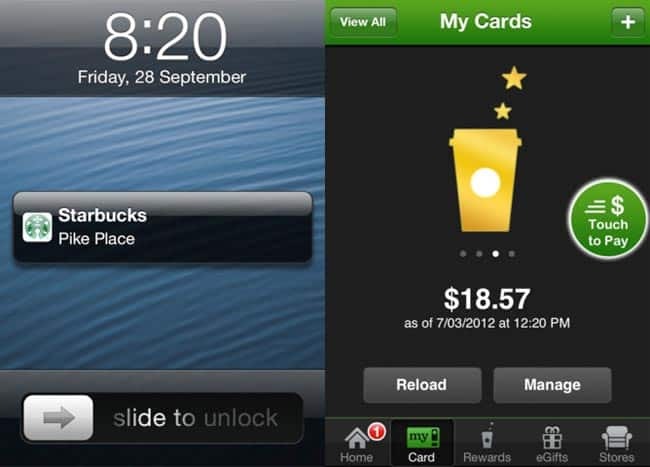 Let’s say you have the Starbucks app on your phone. When you walk close to a Starbucks cafe (known as ‘crossing a geofence’), the app sends you a push notification. The app is reminding you that there’s a cafe nearby, and it might even send you a discount code to encourage you to pop in. This is active, location-based marketing like we’ve never seen before. It allows you to be more direct and relevant to your customers. You can even use geolocation if you don’t have an app. Combine geolocation with advertising for truly targeted ad results. With Apple iAd, for example, you can choose to target only those in a certain area, based on their geolocation. You can do a similar thing with your Facebook ads. If you have a physical location for your business, encourage your customers and visitors to ‘check-in’. Whether it’s on Facebook, FourSquare or another platform, ‘checking-in’ offers free promotion for your business. One of the easiest ways to encourage more check-ins is by offering a free coupon in exchange. McDonald’s tried this a few years back and it lead to 33% more check-ins than usual. Google is making a big effort to make their results even better for those searching on a mobile device. Their 2014 Pigeon update shifted Google’s focus to mobile in a big way. The best place to start is reviewing Google’s own advice on the matter. They recommend a ‘responsive site’ over a separate URL, so make this a priority for your website. Secondly, tweak your mobile website for optimal navigation and usability. Google loves a site that is simple and easy to use. This is just scraping the surface of mobile SEO. If you’re looking for more information on this, visit my recent post on mastering SEO in a post-Pigeon world. 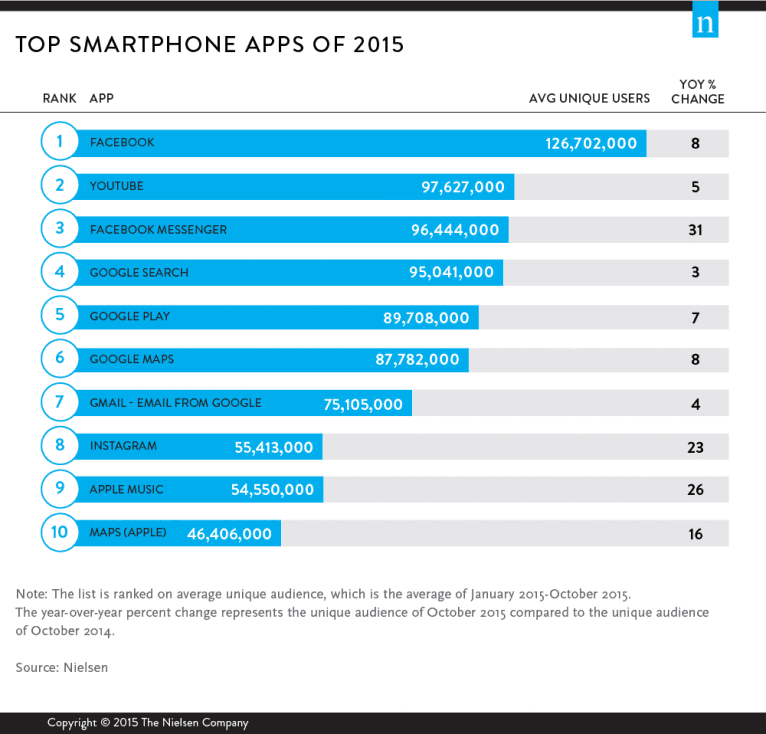 Take a look at any list of the most popular apps, and a huge majority are social media. Facebook and YouTube dominate at the top, while Instagram can be found lower down. Expand to the top twenty and you’ll also find Twitter, Snapchat, Google+ and Pinterest. Social media is the heart of our daily mobile use. Snapchat and Instagram – specifically – are mobile-only platforms, while Twitter is 80% accessed by mobile devices. So, how do you optimize your social media strategy for mobile? Eye-catching content: Again, the advice is simple. Opt for short, sharp copy that stands out on a small screen. Use powerful visual imagery to capture people’s attention as they’re scrolling through their feed. Link to a mobile-optimized website: If you are linking back to your website, make sure the site looks and functions perfectly on a mobile device. If people are lead to a poor website, they’ll be reluctant to click on your links again. Tap into social media influencers: This is a hugely effective technique in the realm of mobile social media. Influencers are social media users with hundreds of thousands – or millions – of followers. They are typically found on Twitter, Instagram, and Snapchat, which are predominantly mobile platforms. You can tap into their community by forming a partnership with them. Consider it a form of highly-targeted advertising. 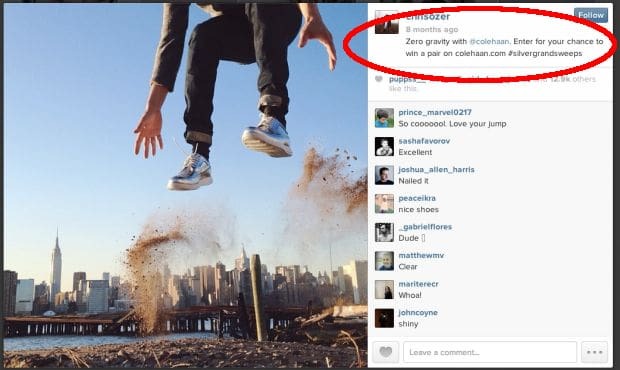 These influencers will often post about your product or service in exchange for mutual publicity or a simple fee. Hunt out the biggest ‘influencers’ in your niche. If you run a fashion store, for example, there are hundreds of fashion influencers on Instagram. Many will be happy to highlight your products in their pictures and link back to your website. SMS marketing isn’t for everyone, but it can prove effective. There’s a fine line here, as many customers find SMS marketing invasive or pushy. As a customer, we don’t always remember giving out our phone number, which can cause frustration when a marketing text comes in! The advantage of SMS is that it’s very personal, even more so than email. For that reason, my advice is use SMS only to offer a discount or voucher code. In my opinion, that’s an acceptable reason to drop into someone’s text inbox, as you’re offering them something in exchange. I also suggest that you keep it personal, and use their first name. You can do this by asking for a name on any signup form. To start an SMS campaign, you’ll need to collect your customer’s phone number. This is best done during the purchase process. Don’t ask for their phone number on your usual email signup form – it’s too soon. Wait until they’re a committed customer. To actually send a mass SMS campaign, you’ll likely need to use a service like TextMarks to handle it. They’ll also manage your unsubscribers, which is essential. When many people think about mobile marketing, they immediately assume they need their own app. Indeed, an app can be incredibly useful. But it can also be a huge waste of money. The question you need to ask yourself is this: would your app provide additional value to your customers? If you can achieve all your goals with the mobile marketing techniques above and a strong mobile website, you probably don’t need an app (yet). There is zero point in making an app that’s a carbon copy of your website. But, if you can think of an exciting, innovative way that your app would go above and beyond what you’re currently offering, then go for it! If you can use geolocation marketing like Starbucks, then that’s real added value. If you can gamify your business model and boost sales through a unique app experience, then that’s great too. The best thing about a mobile app is the ability to send push-notifications directly to your customers. You can use this to offer discounts or notify them about new products or services. Used correctly, and it will keep your branding in the minds of your customers. If you decide an app is the right path for you, ask yourself the following question at every stage of development: Am I adding extra value for my customers? This is a whirlwind introduction to mobile marketing designed to ease you into this relatively untapped territory. In each of these eight categories, we can go much deeper. If there’s a particular topic you’d like us to cover in depth, let us know in the comments, and we’ll consider a more expansive blog post. Until then, let us know about your experiences with mobile marketing.